Available only on the iPhone and iPod touch, the Compass app has gone through one of the starkest app redesigns in iOS 7. Redone from top to bottom, it looks more like a cockpit flight instrument as designed by Dieter Rams than the shiny camping compass of yore. The redesigned app uses just four colors—black, gray, white, and a hint of red—with no hint of wood paneling or rosy parchment paper. 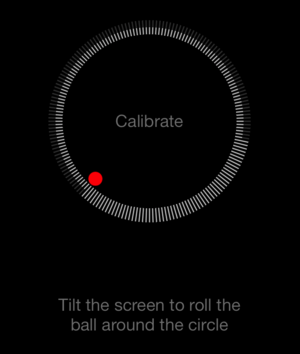 The compass calibration mini-game is much more fun than the figure eight of past iOS versions. 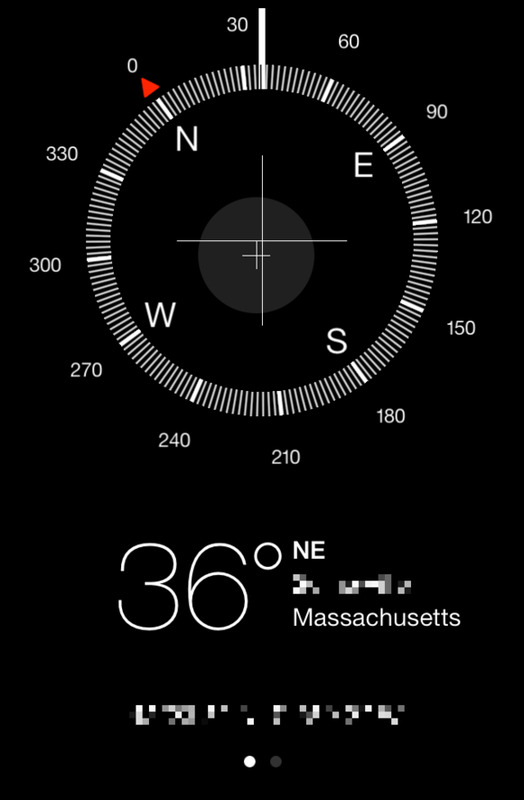 The compass retains all of the features present in the iOS 6 version of the app (though the choice between true north and magnetic north has moved to Settings > Compass), and as an added bonus it throws in geolocation services: You’ll now see your current city and state next to the compass reading, and full latitude and longitude coordinates below. In addition, if you want to follow a particular bearing (say, 23 degrees northwest), you can tap the compass face once to set it; as you move around, the compass draws a red arc on the inside of the circle, showing how far you’re deviating from your original course. 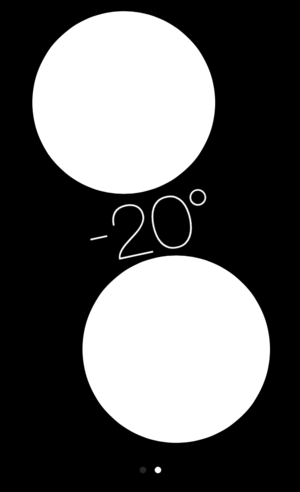 Finally, the new compass recalibration tool says farewell to awkward figure eights and waving your phone in the air; instead, you play a make-the-dot-follow-the-circle game that’s not only much more enjoyable, but easier to explain to random passersby. Swipe to the left to find the level feature in the Compass app. That may be all for the compass tool, but it’s not all the app has to offer: Swipe left on the compass, and you access an iOS 7-exclusive tool: a horizontal and vertical level. The level is wonderfully simple, using white, black, and green geometric shapes to display level information. Place your device flat on its back, and two overlapping white circles appear with a degree of measurement in the center; as you adjust the level, the circles change until they overlap perfectly for more than a few seconds—at that point, the screen goes bright green to indicate you’ve achieved a perfect level. Hold your device in landscape or portrait, and you access a rectangular level, dividing the screen into white and black rectangles. When the white rectangle reaches equilibrium with the black rectangle, the latter turns bright green. It’s a nifty little widget, and saves users the trouble of picking up a $1 level app.